Which celebrities speak Chinese? … and how well? It’s very hot right now to learn Chinese and even celebrities are getting in on it. 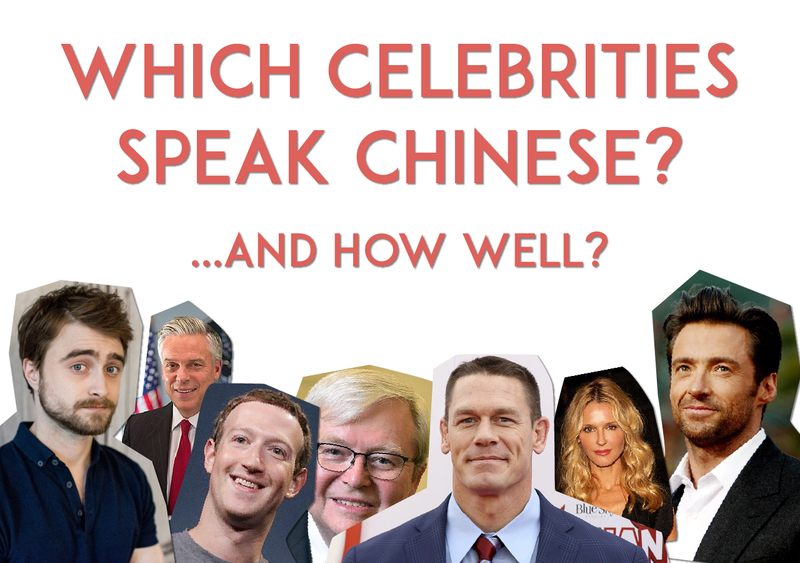 But which celebrities speak Chinese and which are just faking it? 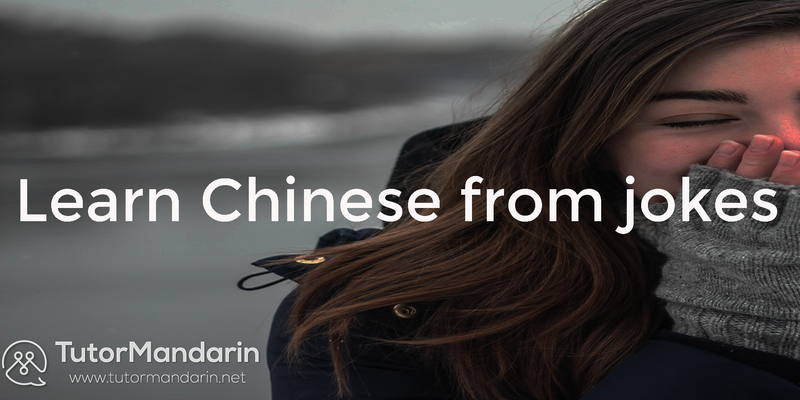 Listen for yourself and see our Chinese teacher‘s review of their language abilities. Maybe your Chinese is even better than theirs! This is Mark Zuckerberg doing a Q&A in Beijing in 2014. His Chinese is understandable but definitely in need of improvement at this point (Note: he has continued on in his studies since 2014). In this interview, he is a little bit caught up in the buzz of the atmosphere and is not taking time to enunciate clearly and also fumbling on his tones. A phrase like “很有意思” which he should easily get, he drops. His “j” in “juede” and “jiehun” are weak. He hasn’t mastered the “sh” yet and is also a little off in “chengshi” “shishi” and more. Like many foreigners, he also struggles with letters like “x” and “ǔ” so when he says he studies Chinese, the whole sentence isn’t fabulous. For a multi-billion dollar CEO to use his part-time to study Chinese is pretty impressive! Also, his Chinese is relatively easy to understand and he can articulate intermediate points in a live setting. Good job, Mark. This is Kevin Rudd (陆克文 Lù Kèwén), former Prime Minister and now Foreign Minister of Australia, interviewed by Zhou Li of Mandarin News Australia, posted in 2010. Kevin Rudd’s Chinese is great!! His pronunciation (and slight Beijing accent) and tones are both spot-on. He also uses great phrases like 百分之百老外 and can hold his own using high level Chinese to talk about political science and international relations (政治系统，政治价值). He speaks flexibly with the interviewer and can confidently switch back and forth between topics both familiar and unfamiliar. He has also fit in a nice bit of humility in classic Chinese style. He can also talk in a steady stream, unlike some people who talk in few word spurts. Overall, fantastic. So Hugh Jackman can’t speak Chinese, but he did take the time to learn a Chinese song. With a song, you don’t have to worry about tones — which is kind of a great way to hide your deficiencies in the language. So, all we can judge him on here is the pronunciation of the words. Also, since it’s lyrics, he’s not doing any sentence construction or grammar. Plus, it’s a super simple song haha. In 2011, CNN interview Jon Hunstmans talks to Piers Morgan. He only has to give a small introduction in Chinese, which he has clearly practiced. You can tell he studied in Beijing as he has a bit of a Beijing accent. Pronunciation is pretty solid and his tones are not bad either! He seems to be a little bit flexible and can do a few phrases off the cuff as well (…err 听得懂). But hard to tell the extent of his Chinese from here, since he just does a basic introduction of his name and something about being the next president (which didn’t turn out so well). This video is from when the Cenation leader discussed WWE’s growth into China to international members of the media at a press event in Shanghai in 2016. John Cena gives quite a long speech in Chinese here — very impressive! This is 10x more difficult than Jon Huntsman pulling off a few scripted lines for a political interview. Cena clearly has been studying the language and it seems like he worked together to help craft this speech in a way that he could handle performing live. His pronunciation is in general pretty good and he has a nice pace of speech here. The acronyms WWE and PPTV are actually how a native Chinese would set them, so that’s also natural (in case you were wondering). He struggles with pronunciations in MeiGuo, JieMu, ZhongGuo, Hen. Overall, great job and he will be a great ambassador for the WWE in China in the future. Tip of the cap to John Cena from TutorMandarin. Vanessa Branch speaking Mandarin Chinese in the s02ep06 of Entourage. So yeah, her Chinese is amazing. In this scene, she is a bilingual interpreter and she plays the role perfectly with her Mandarin and English. She goes back and forth between the two language seamlessly (which can be a bit difficult to do!). Pronunciation is perfect and she speaks quickly without making mistakes. Impressive. If you want to speak Chinese better than these celebrities, learn in the best and most efficient one –– 1-on-1 Chinese tutoring from TutorMandarin. Spend 50% of the class speaking and improving your own language skills, while having a tutor correct any mistakes you might make (something all these celebrities could benefit from… except for Vanessa Branch and Kevin Ruff). All new students get a free trial class to see if it’s right for them. Sign up today! This entry was posted in Chinese Language Learning, Funny China, Videos and tagged celebrities, celebrities speak Chinese, speak chinese. Bookmark the permalink. ← How many characters are there in the Chinese alphabet?